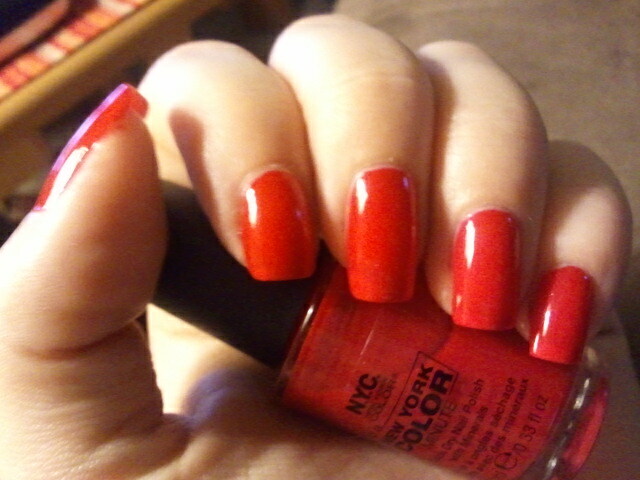 I thought this manicure would be easy. 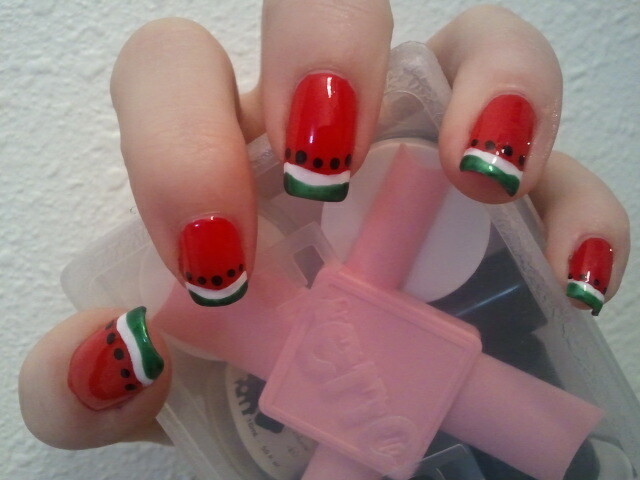 I decided to go with the Italian flag to support my roots! 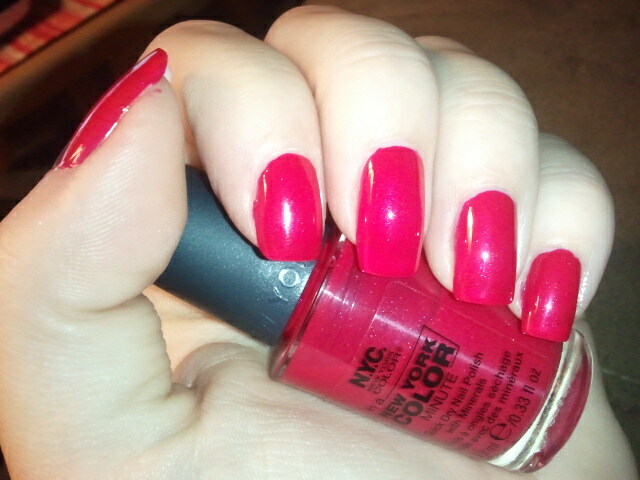 It started out red base with white tips...looking like a candy cane. The I added a green tip over the white tips....now looking like Christmas. 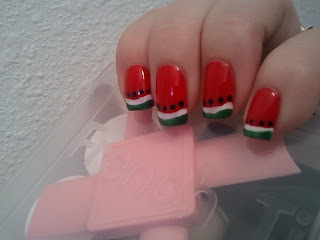 Then I added some black accent dots...finally looking like a watermelon! Ug, really! Nothing ever looks the way I expect. So here are my Italian Flag Candy Cane Christmas Watermelon nails! YAY! Have you seen my review for French Tip Dip yet? 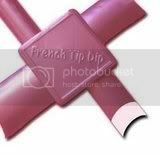 An amazingly fast way to do french tips. No more free hand, no more sticky tape and surely no more pricey nail-killer acrylics. 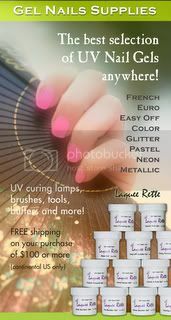 Check out all the awesome quality products here, French Tip Dip. You can get the whole kit to last you over a year worth of french tips too! It so cute! 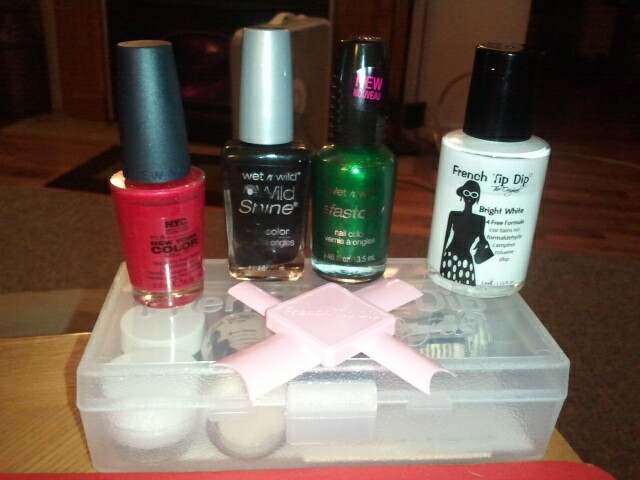 How do you like the french tip maker. I have seen it but had no faith in it. wink wink maybe you should do a tutorial on the tip dip! wink wink! 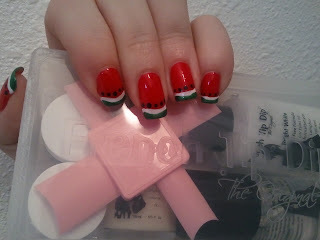 I was gonna say this looks like watermelon!!! Its great either way!!! I read them. I was think more of a step by step in using it. It cool to know someone with it before buying or not. Hmm I think you're right NF, I do need a step by step going on...Ill have to do that! Thanks for the suggestion!